Bitcoin storage firm Netagio has today launched an exchange that allows users to trade bitcoin, pounds sterling and gold. The exchange offers users three order-books, allowing trades between bitcoin and gold, bitcoin and sterling, and gold and sterling. “[Investors] want to take advantage of the opportunities available from being able to trade between the asset classes on a single continuous exchange, any time of day or night,” said Netagio’s chief executive Simon Hamblin, speaking on the sidelines of the CoinSummit conference in London’s financial district, Canary Wharf. Netagio, which is based on the Isle of Man, a British crown dependancy, is able to take deposits and send withdrawals through British banks. This makes transactions quicker and cheaper for users because of the absence of international wire transfer fees, Hamblin said. Netagio began life as a bitcoin storage firm. Its cold-storage services, which were launched about a year ago, allow users to store their coins offline, across multiple locations. Hamblin said the firm has “thousands” of customers, and he expects this number to continue growing exponentially, though he wouldn’t provide specifics. However, Netagio’s cold-storage business was just a precursor to Hamblin’s plan to start a British exchange. This plan was initially impeded by Netagio’s inability to find a British bank willing to take it on. “From talking to a lot of banks over the last year, it’s not worth going to the large high-street banks. The smaller banks, like Fidor Bank for example, are much more innovative in their approach. They are much more willing to listen to what you’re trying to do,” Hamblin said. Netagio is now able to use British banking facilities for its exchange, thanks to its relationship with payment processor Capital International Group, which is also based on the Isle of Man. Customers who deposit funds with Netagio actually send the funds to a bank account controlled by the payment processor. Capital uses a network of banks, so Netagio users will be depositing funds into different banks at different times. The British banks’ reticence to deal with bitcoin businesses – with many exchanges struggling to open bank accounts that can accept customer deposits – is seriously restricting the sector’s growth in the UK, Hamblin said. CoinDesk has reported on the difficulties exchanges have encountered when obtaining accounts with British banks in the past. “From a banking perspective, it’s still as difficult as it was [a year ago], which is why we haven’t seen an explosion in bitcoin businesses in the UK. You just can’t get a banking relationship,” he said. Netagio is also bolstered by its location on the Isle of Man. The island is seeking to fashion itself into a choice jurisdiction for bitcoin businesses via favourable policies and a new startup incubator. Hamblin said his firm is a member of the UK Digital Currency Association, and that it would continue to support lobbying efforts by the association to obtain guidance from British banks and the Financial Conduct Authority on what they expect to see from a bitcoin business before dealing with one. 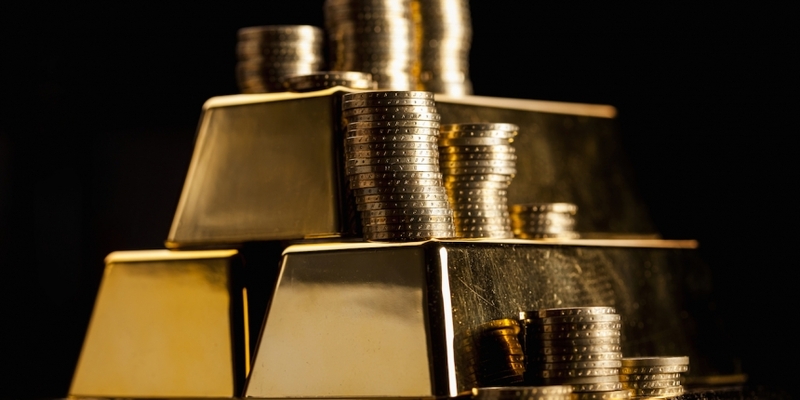 Netagio was spun out of GoldMoney Group, which provides gold storage services and was established in 1991. Its bitcoin cold storage business competes with similar services offered in the UK, including Elliptic. The company’s new offering puts it in competition with Coinfloor, a London-based exchange that recently made a high-profile hire by appointing a former managing director at Credit Suisse and head of metals at Goldman Sachs as its executive chairman. Disclaimer: This article is not an endorsement of the company or companies mentioned. Please carry out your own thorough research before investing any funds.